What are the risk factors for sepsis? The obvious risk factor is an infection. Any infection, from the tiniest source (a bug bite, a hangnail, etc.) to the more severe (pneumonia, meningitis, and so on), can trigger sepsis, which can lead to severe sepsis and septic shock. The infection can be bacterial, viral, fungal, or parasitic. But some people do have a higher risk of developing sepsis than others. 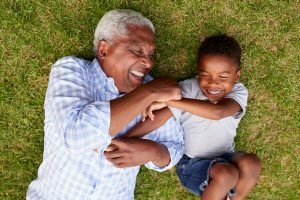 Those at the highest risk of developing sepsis include the very young and the very old (infants and seniors), as well as people with chronic or serious illnesses, such as diabetes and cancer, and those who have an impaired immune system. You can also learn about prevention of infections in our Sepsis and Prevention section. Sepsis cannot always be prevented, but by knowing the sepsis risk factors, you can not only help reduce your chances of developing sepsis, you can say the words “I’m concerned about sepsis because I have….” to healthcare professionals. Saying these words can make all the difference in the world. 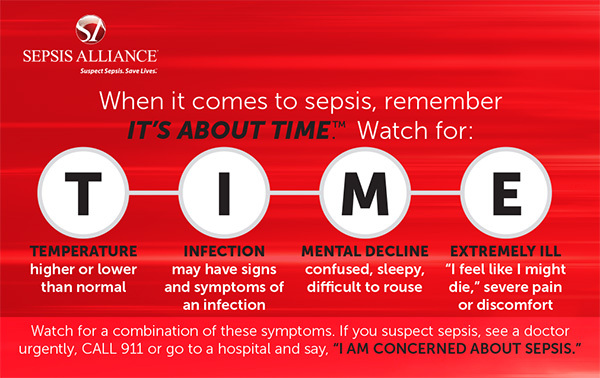 Learn more about the tests doctors may do to check for sepsis here. The information on or available through this site is intended for educational purposes only. Sepsis Alliance does not represent or guarantee that information on or available through this site is applicable to any specific patient’s care or treatment. The educational content on or available through this site does not constitute medical advice from a physician and is not to be used as a substitute for treatment or advice from a practicing physician or other healthcare provider. Sepsis Alliance recommends users consult their physician or healthcare provider regarding any questions about whether the information on or available through this site might apply to their individual treatment or care.